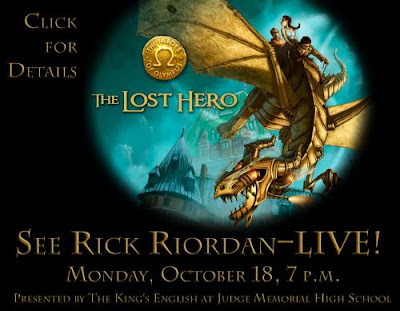 Last night The Kings English bookshop hosted a huge release party for Rick Riordan’s newest book The Lost Hero. 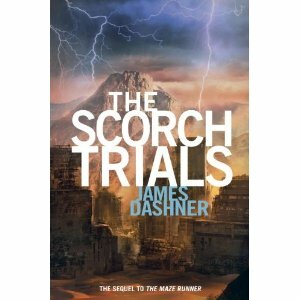 It’s the first book in the middle grade Heroes of Olympus series, with the second scheduled to be released October 2011 (to read the first two chapters go here). Mr. Riordan plans on publishing a new book in one of his series every six months. The next book will be a new 39 Clues series to be published April 2010. Mr. Riordan told fans last night that he retired from school teaching five years ago to write full-time and his characters are based on people he knows. One being a fifth grade math teacher he worked with, whom he later told. He took questions and answers from people in the crowd which filled the high school auditorium. Fire and Ice was fortunate enough to have a copy of The Lightening Thief signed for our blog followers. To enter to win fill out the form below.